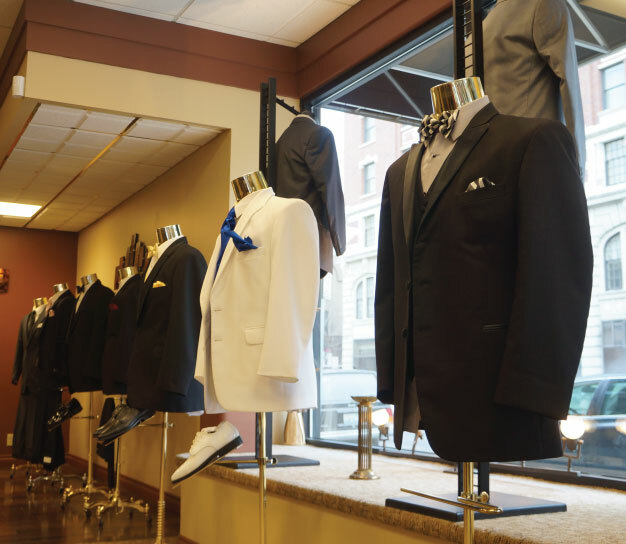 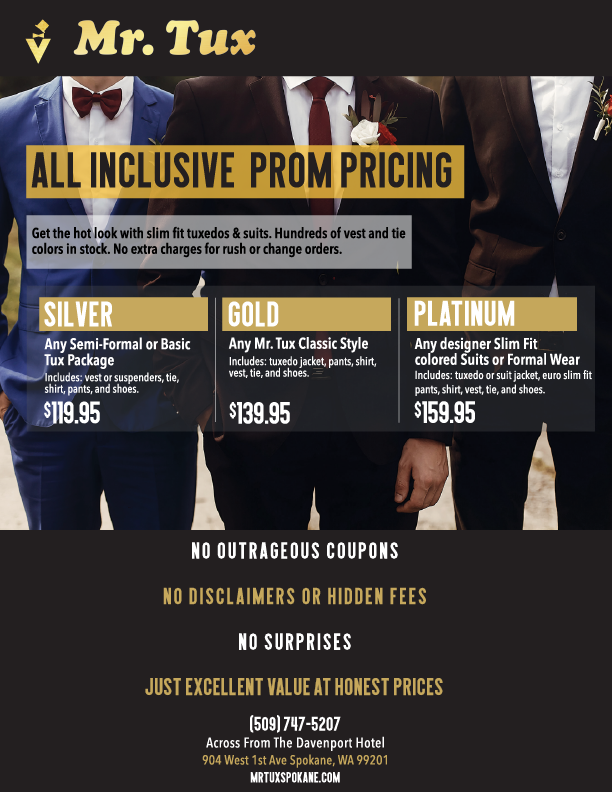 Mr. Tux opened in Spokane in 1974 and it has been the leading provider of men's Formal Wear ever since. 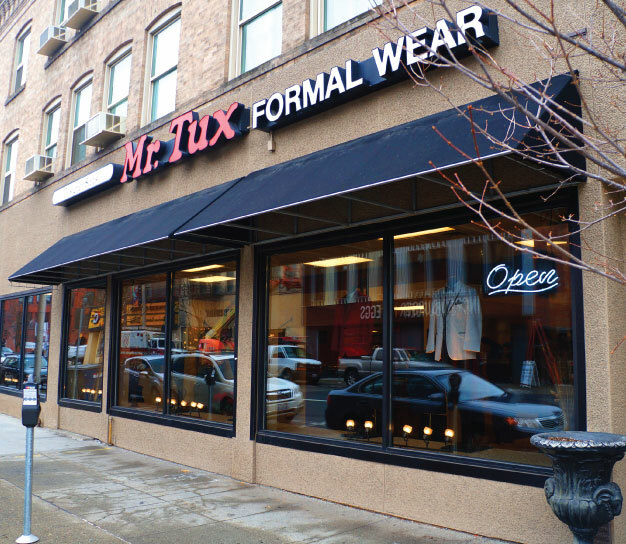 Over the years, Mr. Tux has expanded and contracted as the market dictated and is proud to serve Spokane and the surrounding areas. 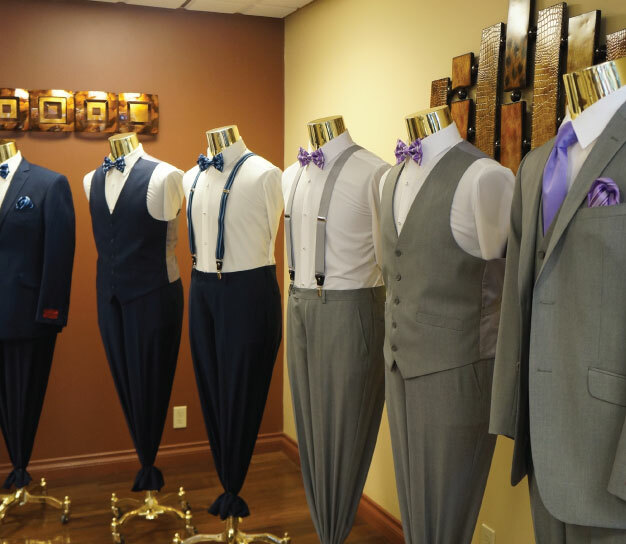 We are happy to boast one of largest inventories in the Northwest and now with our updated store layout, it's easy to browse and try on your options before you rent. 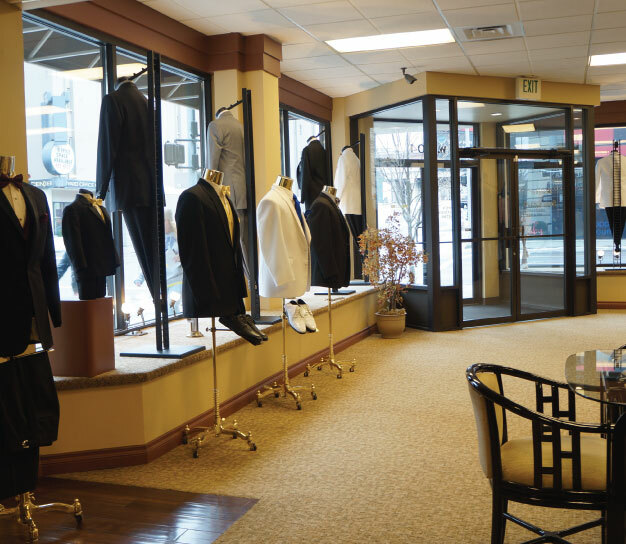 Visit us today in beautiful downtown Spokane!